Savory Downtown approached us with a problem. They had an outdated website that was not responsive to mobile devices, it was hard to update, and lacked a touch of modern design. Their goals were to have something that looked great, featured their featured weekly menu, full menu, events, catering, and banquet spaces; But, also something that allowed them to make edits with ease. Fully responsive across devices with new touch of modern flair – you can now savor their website as much as their fantastic food! The Magic of Savory Downtown. 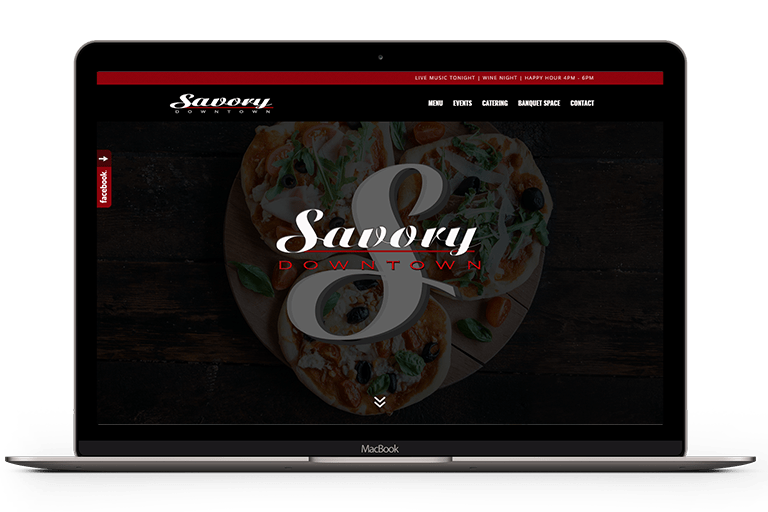 We glued the key components of modern responsive design, with the flexibility of modern frameworks to give Savory Downtown a fantastic solution that solves their needs. 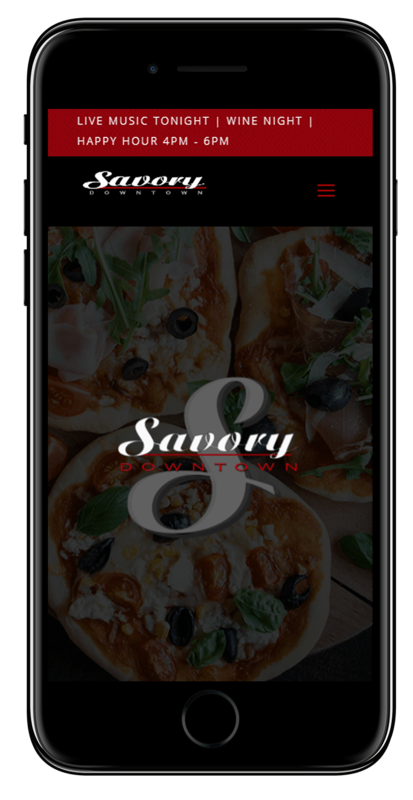 Our goal for Savory Downtown was to provide the best possible user experience on any device, from iMac with a retina display to even a tamagotchi. Clean design and careful placement of key features was a must for Savory Downtown. The framework Savory Downtown was built upon was chosen to provide top notch flexibility and security for 2017.